JOHANNESBURG, May 7 2013 (IPS) - As the African Union celebrates its 50th anniversary this year, it is still younger and less integrated than the 56-year-old body that is now the European Union, and, according to politicians and diplomats, has a big advantage over the Europeans as it charts its own path of integration. Africa can see where Europe has tried to move too far, too fast. But it can also see where the Europeans have succeeded, as it plans its own path towards greater integration. “Africa in particular has a need to integrate to take advantage of its massive resource economies of South Africa, Angola, Ethiopia, the Sudans and probably the whole Sahel area – and growing populous economies such as Nigeria and the Democratic Republic of the Congo,” former South African Trade and Industry Minister Alec Erwin told IPS. Erwin negotiated his country’s trade, cooperation and development accord with Brussels, and has extensive experience in dealing with the EU. There can be no doubt that the EU is willing to share the lessons it has learnt, and there is a regular dialogue between the European and African Unions. European Commission President José Manuel Barroso and six of his commissioners travelled to Ethiopia’s capital Addis Ababa from Apr. 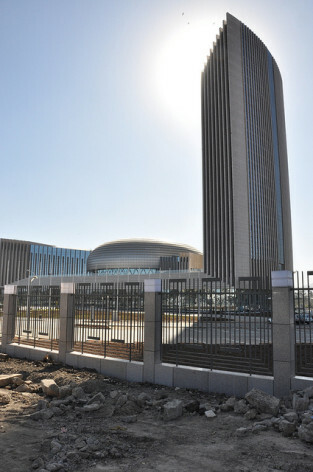 25 to 26 to meet their AU counterparts as part of the preparations for the EU-Africa Summit that will be held next year. While the themes of cooperation and partnership will no doubt ring out, the recent crisis over the Euro, when Greece and some other members needed bailouts to keep their economies afloat, serves to highlight the way integration between sovereign nations can bring pitfalls as well as benefits. However, while Europe has succeeded in many technical areas, the recent Euro crisis shows how political goals were pursued without the necessary backbone of economic and financial integration. “The greatest caveat has emerged only recently and it came from the macro and monetary integration process,” Erwin said. He said there is a clear lesson for Africa in that there has to be a systematic plan toward economic integration. “We run the risk of running into problems with trade liberalisation,” he warned. “Whilst this is important, it can backfire seriously if handled incorrectly. Trade liberalisation requires good trade facilitation between the economies and responsive economies. “Both of these requirements essentially revolve around affordable and accessible energy, logistics and communications. In addition, there are a host of institutional trade facilitation reforms that have to be made. Erwin said that in the past, Nigeria, Algeria, Ethiopia, Tanzania and South Africa cooperated more closely, and big progress was made in African development. Former South African Ambassador to the EU Professor Eltie Links echoed this message, telling IPS: “My caution to Africa is to not try and emulate the Europeans in every aspect of the integration path. “We have the benefit of their experience over the last couple of years and especially the last few months in trying to understand fully the way to manage the vast, enlarged EU in all of its spheres. Links said that the levels of development were so different in Europe, let alone in Africa, that talking of lumping countries together in an economic or monetary union without the necessary and thorough preparation would be a grave mistake. Former South African diplomat John Mare, who served in his country’s Brussels Embassy, suggested that a lot of the more detailed harmonisation of standards and rules, which the EU has undertaken, could serve as a model for Africa. “The AU has much to learn from the EU in terms of various forms of technical integration – such as getting similar standards for educational qualifications, road signs, environmental standards, food safety standards, infrastructural roll-out and so on,” he told IPS. However, Links suggested that Africa could learn not just from the practices of the EU, but also from its values. He said three had stood out during his dealings with Brussels, namely respect for human rights, respect for the rule of law, and good governance, with the latter basically referring to corruption. “Living in South Africa today these principles of democracy have become very obvious and imperative in our struggle to achieve our full potential as a democracy,” he said. Mare suggested that the AU should focus on areas of cooperation which are realistic and which will bring benefits. “A key lesson is for the AU not to waste too much time on regional topics such as coordinated foreign affairs for the AU, or on a common monetary union – just think of the Euro,” he concluded.